Celebrations are in the air as the entire country celebrates the completion of 100 years of Indian Cinema. The very first film was a silent movie, Raja Harishchandra made by Dada Saheb Phalke was released 100 years ago in 1913. After 17 years a sound film, Alam Ara by Ardeshir Irani was released. The Indian Cinema kept on progressing and it has now completed 100 years. 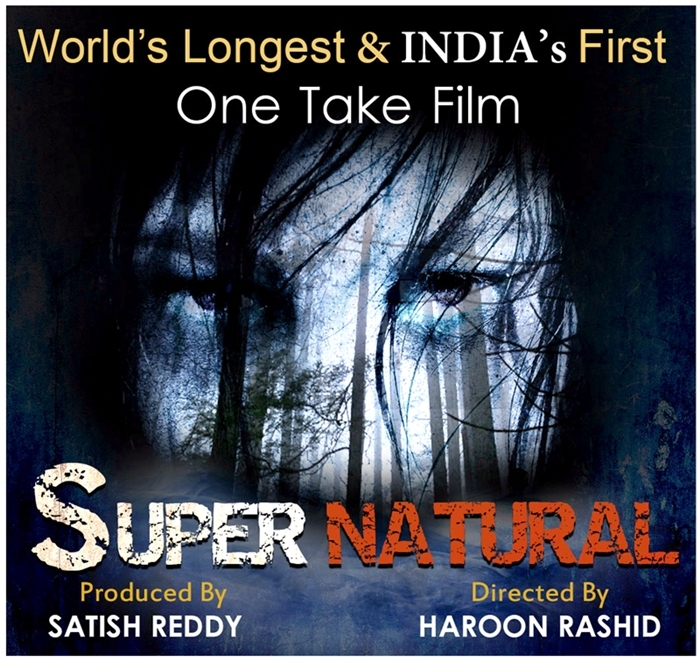 Many Bollywood movies has contributed toward this auspicious moment in Indian Film Industry now Worlds First one take Bollywood Horror movie “Super Natural” is going to pay tribute to the 100 years of cinema Producer Satish Reddy and Director Haroon Rashid took the initiative to celebrate this era with a Horror genre. The Cannes film festival is also celebrating the 100th anniversary of Indian cinema. “Super Natural” first ever movie which was shot in just 2 hours and 20 minute-long and was completed in one take without a single cut with a crew of 17 people. The movie is also listed in Limca Book of Records and it is also attempting for Guinness World Record.